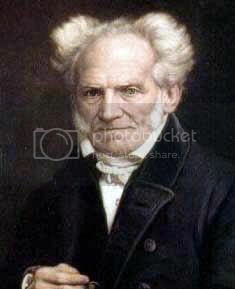 Schopenhauer* believed that life does not hold intrinsic meaning. Nor should we look to the world to make us happy. Rather, as in the animal kingdom, much of human life consists of repetitive efforts to meet our needs, interspersed with brief moments of satisfaction. Although this may seem a gloomy perspective, it’s actually rather liberating. Once we stop expecting the world to show us a good time, we’re freed from the inevitable disappointment when it neglects to do so. Perhaps we’re less bitter when love lets us down, less devastated when we fail. In other words, Schopenhauer believed that assuming the world is there to make you happy can be a source of heartache and disappointment. Pursuing happiness: If we accept that happiness is not automatic, then it puts the onus on us to find and create happiness for ourselves. We can take a more active approach to designing a pleasing life for ourselves. Expectations: Perhaps the most helpful idea for our happiness is to accept the inevitability of disappointment. By setting our heart on outcomes with the understanding that some things will go our way and some won’t, we may find ourselves more pleased when things go well and less distressed when they don’t. Meaning: Meaning may not be inherent in the world, but we can invest our lives with purpose. Our sense of purpose could come from anything that has meaning for us – including religious faith, our relationships, raising children, creating something that outlasts us, contributing to human knowledge or helping others. Relationships: Being in a relationship purely because it ‘makes you happy’ may leave you more vulnerable to disappointment than one in which you also share common values or one in which you can make yourself happy. Schopenhauer’s ideas about happiness are confronting, but ultimately freeing. Instead of clinging to the hope that happiness is your right, you can choose to be more active in finding meaning and happiness in what can sometimes be a disappointing world. *To learn more about Schopenhauer you might like to read The Consolations of Philosophy by Alain de Botton.